Our Mega-Lift XEP electric counterbalance stacker is mainly used in stacking of medium and high intensity in warehouses, manufacturing industries, retail stores and so on. Its loading capacity is 1000kg. And it can work well individually or in conjunction with a platform. But its long-distance transport needs a platform. 1. SWISS brand or ITALY hydraulic pump. 5. Battery side extraction: Battery can be removed from the side, which makes it very convenient to replace and maintain. 6. Emergency reversing device in the handle improves operation safety. 7. Emergency power disconnection switch. 8. Braking, applied with handle upright and horizontal position, increases its safety degree. 9. Built-in pressure relief valve help to avoid overloading, thereby increasing its reliability. S2S Create & Engineering Co., Ltd is a professional import of counterbalance electric stacker From China. 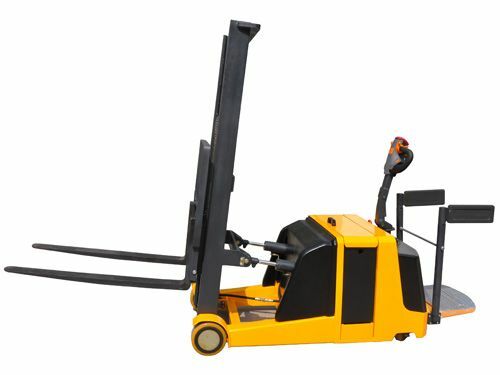 Besides, we also provide clients with electric pallet truck, electric reach truck, electric tow tractor, scissor lift, aerial order picker, manual warehouse equipment, customized truck, and more. With high quality and competitive price, our products have been quite popular among customers from as many as 40 countries and regions, and many of our products have obtained CE and ISO9001:2008 certification. 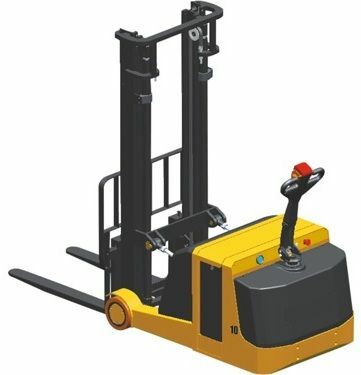 If you're interested in our counterbalance electric stacker, please contact us freely.